Is it lonely out there, perched on the high mossy walls of ancient battlements? We bet you have a good view of the city, perfect for planning how to enact your evil mission. Of all the things that have been released from Hades with dark plans in tow, it must be handy to be one of the winged ones. You can avoid being seen by priests or anyone else who might sound the spook alarm. You can make pretty good friends with the bats when you're hanging out in those rocky outcroppings, waiting for a group of innocent passersby to possess. 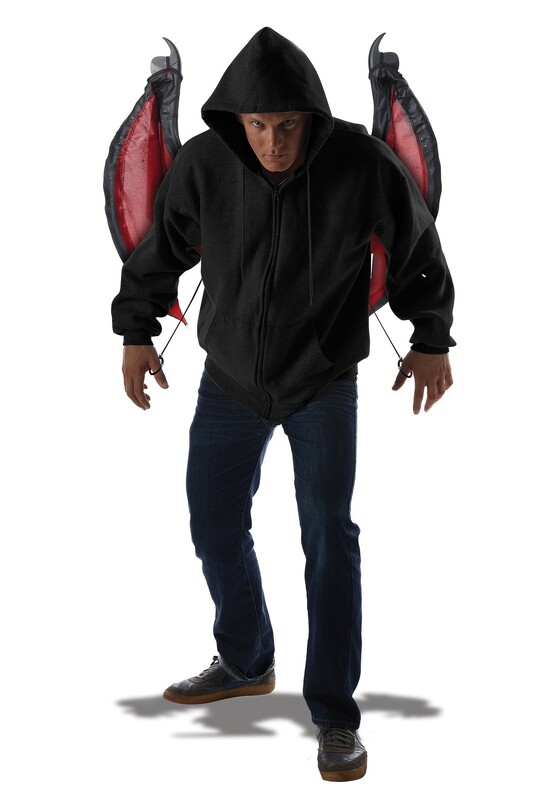 These red and black wings could strike fear into the heart of anyone you cross, the humans don't stand a chance. 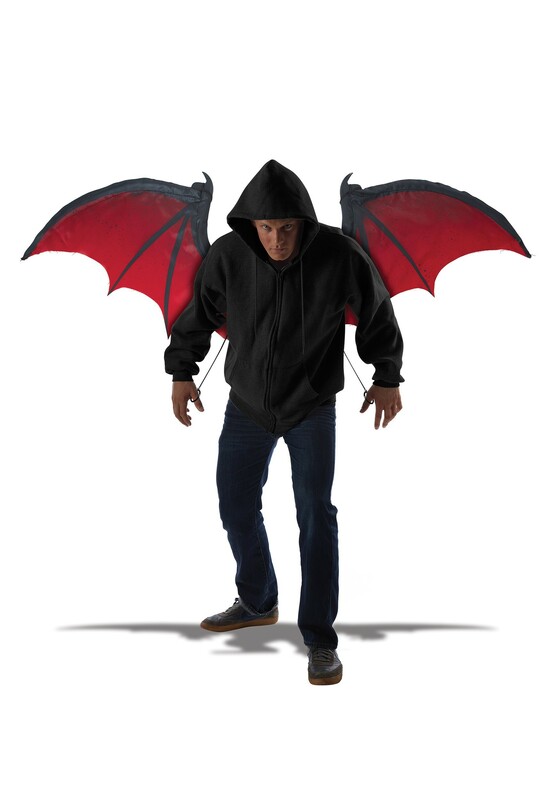 Let your demon flag fly when you put on these Bloodnight wings. 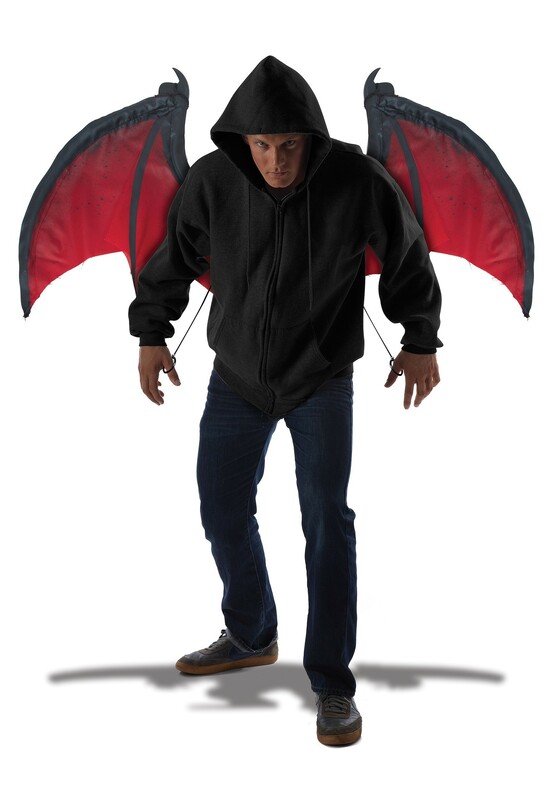 With these bad boys you can become the biggest baddest ghoul the world has seen since the dark ages. Just slip the wings on and feel the power flow through you.